Everything you need for a well-dressed table. 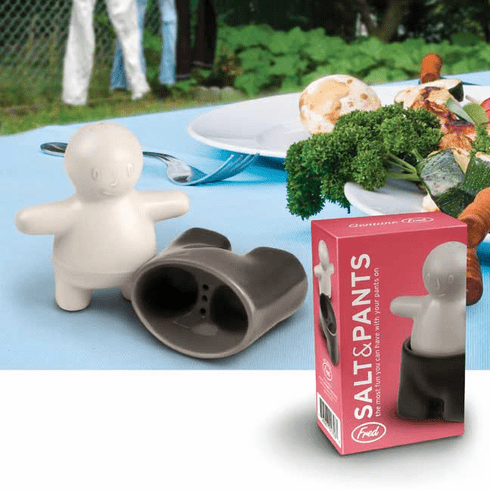 This spicy little guy dispenses salt from the top of his head, and he's got something special in his trousers...pepper! Made of fine matte-glaze ceramic, he'll help you dress your table with something a little unexpected.